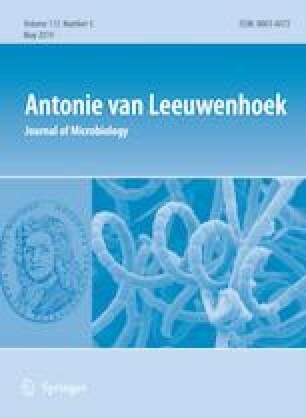 Culturomics has recently allowed the isolation and description of previously uncultured bacteria from the human microbiome at different body sites. As part of a project aiming to describe the human gut microbiota by culturomics, Phoenicibacter congonensis strain Marseille-P3241T was isolated from the gut of a 45 years old Pygmy female. In the present work, we aim to describe this strain via the taxonogenomics approach. The major phenotypic, genomic and biochemical characteristics of this strain were analysed. Strain Marseille-P3241T is an anaerobic, Gram-positive and motile coccobacillus that grows optimally at 37 °C. The genome of strain Marseille-P3241T is 1,447,956 bp long with 43.44% GC content and its 16S rRNA gene sequence exhibited 89% sequence similarity with that of Denitrobacterium detoxificans strain NPOH1T, the phylogenetically closest related species with current standing in nomenclature. After performing a phylogenetic and genomic analysis, we conclude that strain Marseille-P3241T (= CCUG 70681T = CSUR P3241T) represents the type species of a new genus, for which we propose the name Phoenicibacter congonensis gen. nov., sp. nov. The online version of this article ( https://doi.org/10.1007/s10482-018-01211-1) contains supplementary material, which is available to authorized users. The authors would like to thank Xegen Company (http://www.xegen.fr/) for the genomic analysis assistance. The study was funded by Agence Nationale de la Recherche (Grant No. 10-IAHU- 03), Conseil Régional Provence-Alpes-Côte d’Azur (Grant No. FEDER PRIMI). MB: Isolated, described and wrote the manuscript; MF: helped in the taxonogenomics description; AC: helped in the genomic analysis; TN: helped in the genomic sequencing; FP: helped in the electron microscope imaging; FB: helped in the genomic analyses, ZD: writing an critical analysis of the manuscript; AL: helped in the genomic analyses; PF: helped in writing and critical analysis of the manuscript; DR: designed the project, helped in writing, reviewing and critical analysis; FC: study design, data analysis and writing the manuscript.